The Game of 51: Confessions of an Online Dater: Bad Date -- It isn't a Funny Story, Why are you Laughing? 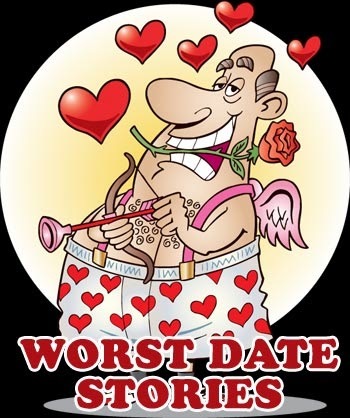 Bad Date -- It isn't a Funny Story, Why are you Laughing? I went on a date with this guy I've been talking to for a bit through messages, then texts, then on the phone... Seemed like a nice enough guy. Smart etc. I was looking forward to meeting him finally and having a drink or two. Well.... His first question was why did I become a writer. The answer has to do with meeting a survivor of a war in the nineties. His story touched me as it was one of survival during a very difficult time. He survived starvation, a long trek through the wilderness, wild animals, sickness, gunfire and bomb attacks. In no way was this man's story funny, it was tragic and inspirational. As I related this story to my date he laughed and made jokes about animals growing big and fat that year. He laughed at my story line and the plot of my novel. My work. My creative expression. I get that tragic serious stories can make some people uncomfortable, but to make jokes? To laugh at the plot and make fun of it? He never called or contacted me after that date .... And I was relieved.